RJ11 and RJ12 standards are quite close. This is because they both use the same connector six slots. The only difference between these two standards is the wiring and the number of strands that are used. RJ12 is a standard 6P6C wiring. This means that there are 6 strands that are wired into the connector. RJ11 is a 6P4C wiring and did that four strands connected, the remaining two are not used. 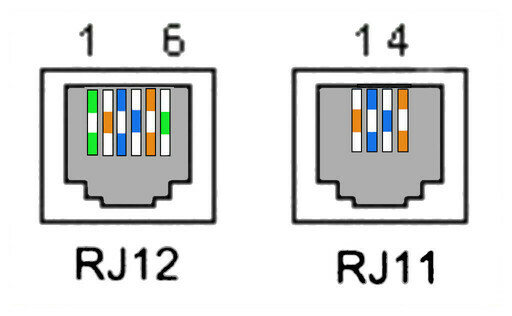 RJ12 uses six slots while RJ11 uses only four of the six available slots. Despite the differences, the two cabling standards are used for the same purpose : for telephone lines. Usually the Center pair is used. But there are also other applications that use the standard RJ12. Key and PBX telephone systems can take advantage of two additional connections. For this reason, RJ12 is not very common. RJ11, by contrast, is common, as it is used by the majority of the telephone companies in the world. The two additional lines that are available with the standard RJ12 can become quite practical with a private auto because you can add additional lines. 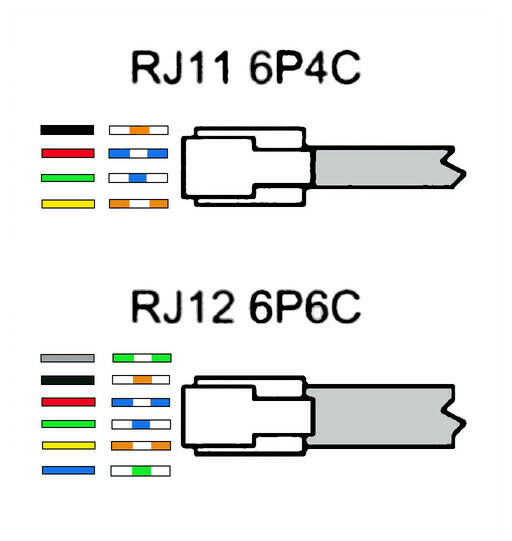 • RJ11 and RJ12 use the same connector with six locations. • RJ11 and RJ12 differ only in the wiring. • RJ12 uses six slots while RJ11 uses only four of the six available slots.